So, I made a new clean machine, attach old drive copy and now trying to replace main hard drive. Unfortunately, the provider also don't provide this function in iaas panel. So - there is SeaBios and gPXE. I don't really understand how to use it and can't find any useful documentation. Shall I try to switch booting hard drives using SeaBios? How? Maybe my whole approach is definetely wrong? What shall I do instead? Changing the boot drive in SeaBios won't help you, as you can only select which of the already attached disk images the system will boot from. Problem is the image you want is not attached to the VM. You need to find a way to attach another disk image to your VM. This can only be done from outside the VM, either by a web interface or some CLI command (e.g. virsh). Consult the docs and ask the support and if they really offer no way to do this, switch providers. Not the answer you're looking for? 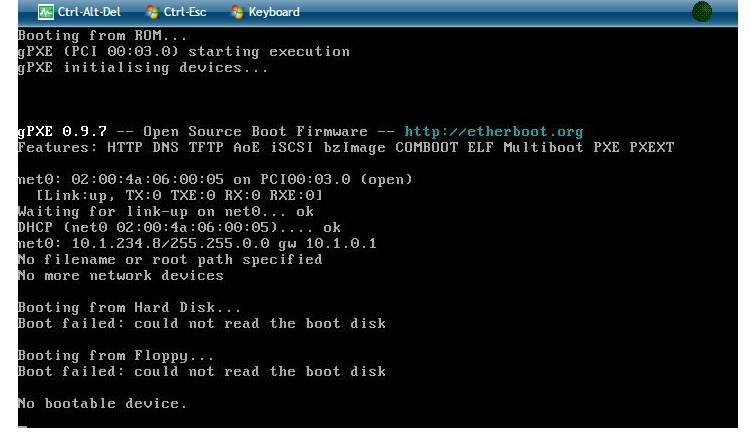 Browse other questions tagged kvm-virtualization boot bios virtio or ask your own question.